A 40-year-old Milwaukee man lost his life in apparent retaliation for accidentally hitting and killing a 2-year-old boy, the Associated Press reports. 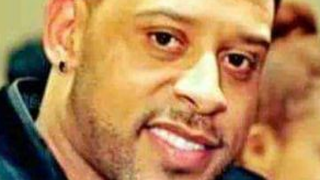 After Archie Brown Jr.’s van struck Damani Terry on Sunday, Brown got out of his van to check on Damani, but Brown was then fatally shot by someone nearby. Damani’s older brother, 15-year-old Rasheed T. Chiles, was also shot, and he eventually died at a nearby hospital. According to witnesses at the scene, Brown was distraught about having hit Damani and immediately got out of his van to tend to the little boy. Both Damani and Rasheed were coming from a party at a house near the scene of the accident, according to AP. Brown’s father, Archie Brown Sr., said that Rasheed was shot because he was trying to help Archie Brown Jr. and his own little brother. "[Rasheed] came over to assist Junior, and while he was assisting him they were shot," Brown Sr. said. "It's a tough situation." Another witness, Barbara Sprewer, said that Damani was crossing the street, trying to get to a nearby park, as Brown Jr.’s van approached, going at approximately 25 to 30 mph. "Nobody was watching the baby," Sprewer said. Sprewer said she saw Brown Jr. get out of his van, and then she heard shots and saw the aftermath. "I feel helpless. I feel numb," Sprewer said. "I saw them alive, and I saw them deceased. I've been reliving this since I woke up." Sprewer said she did not see who shot Brown Jr. and Rasheed. Milwaukee Mayor Tom Barrett said that Brown’s shooting was an "assassination." "Someone got angry," Barrett said. "Someone took a gun and basically assassinated this gentleman."